Boca Raton, FL – November 2015 – Lynn University today announced an academic collaboration with Amani Institute, a non-profit based in Nairobi, Kenya and São Paulo, Brazil, that focuses on developing next generation leadership to tackle 21st century challenges. Together, the institutions will offer an MBA in Social Innovation Management, a new graduate course track at Lynn. Amani Institute’s mission is to equip a new generation of leaders with the knowledge, insights and skill-sets to drive positive social change. The program is based on a new model of higher education that provides participants an intensive experience of global, cross-boundary work. 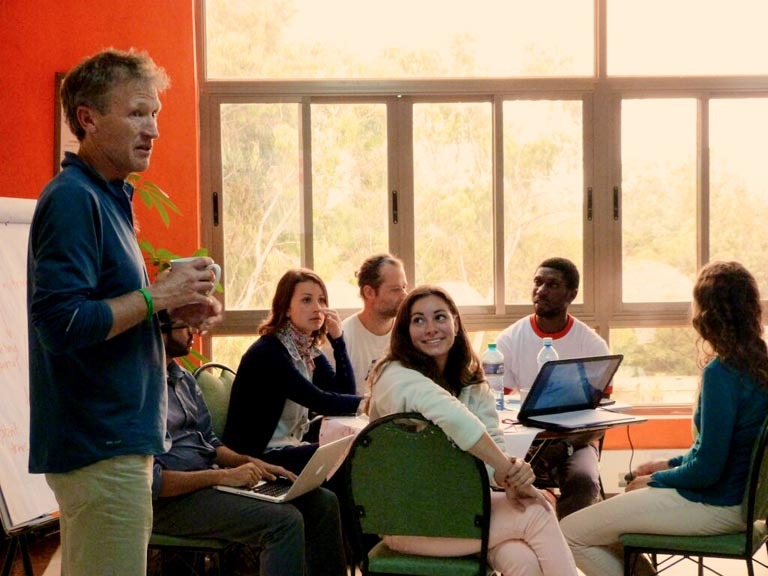 Endorsed by Ashoka East Africa, The Amsterdam School for Creative Leadership and the Harvard Social Entrepreneurship Collaboratory, among others, Amani Institute’s unique, field-based program brings together a group of competitively selected, highly talented individuals from around the world. Students receive a holistic, future-oriented training endorsed by leaders across the social, business, education and government sectors. Lynn students who pursue an MBA in Social Innovation Management will take Lynn graduate courses, on campus or online, in conjunction with Amani Institute’s 10-month program, which comprises four months in-person (Nairobi, Kenya or São Paulo, Brazil) and six months of an online program with international colleagues. Students are immersed in designing innovative solutions to problems they care about, learn professional skills in courses taught by global experts, undergo a customized apprenticeship in an organization of their interest, and experience a signature personal development curriculum, as well as inspiring field trips. In addition to concrete practical skills and hard-won field experience, Amani Institute focuses on developing, in its fellows, the vision to see what needs to change, the courage to step into the unknown, the empathy to work effectively with others, an ethos of change-making to build a more peaceful world, and the global mindset that looks for solutions beyond boundaries. The program will provide nine course credits toward Lynn students’ MBA in Social Innovation Management. Additionally, participants from Amani Institute’s program will have the opportunity to transfer nine credits to Lynn toward a master’s degree that can be completed either in-person and online. Paul, originally from India, co-founded Amani Institute with Argentine Ilaina Rabbat. With their combined 25 years experience in global social entrepreneurship, they are passionate about better connecting education and employment in the rapidly growing social entrepreneurship, humanitarian and global development sectors. Lynn University is an independent college based in Boca Raton, Florida. U.S. News & World Report recognizes the university as one of the nation’s most innovative colleges and consistently ranks it among the top five most international schools, given its approximately 3,000 students from almost 100 countries. Lynn’s Dialogues curriculum and award-winning iPad® program help its graduates gain the intellectual flexibility and global experience to fulfill their potential in an ever-changing world. The school’s NCAA Division II Fighting Knights have won 23 national titles, its Conservatory of Music features a world-renowned faculty, and its nationally recognized Institute for Achievement and Learning empowers students with learning differences to become independent learners. For more information, visit lynn.edu. 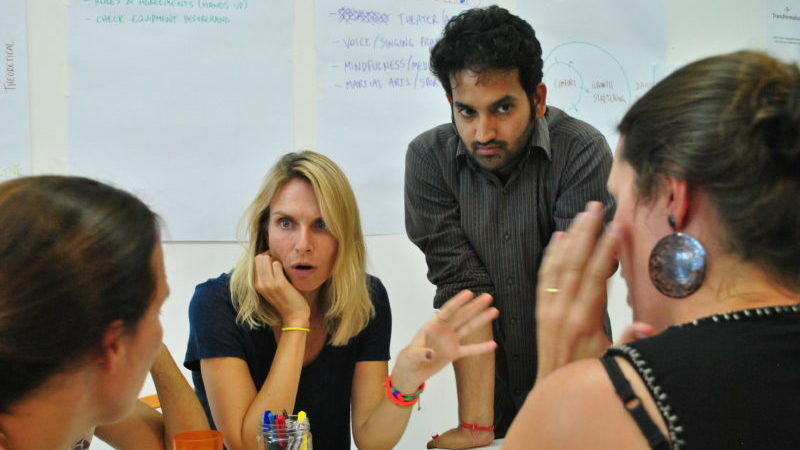 Responding to the widely perceived gap between traditional university and the marketplace for jobs, the Amani Institute’s (https://amaniinstitute.org) mission is to develop next-generation talent for addressing social challenges, through a unique Certificate in Social Innovation Management program, which has enrolled 95 Fellows from 29 countries since 2013. Amani Institute also conducts a range of customized training and curriculum development programs for foundations, universities, NGOs, and companies around the world. Amani Institute’s ultimate vision is to build much-needed capacity in civil society organizations, enabling more effective operations across the social sector.